Tangier History Museum and Interpretive Cultural Center is ideally situated at the fringe of the marsh, directly on the shore of the Chesapeake Bay. THMICC is a living history museum of Tangier Island and her people who have worked with the island and water for over 250 years. 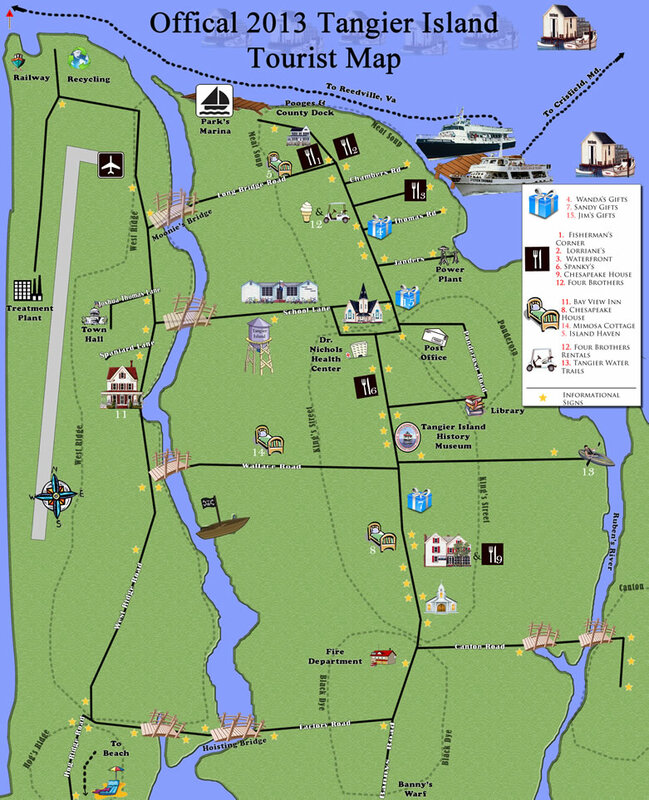 Come and experience the island on foot by walking our self-guided History Trail of over 600 places, important to our heritage. We offer free use of canoes and kayaks to paddle our water trails and follow the route John Smith did 400 years ago, through pristine marsh and home to hundreds of birds and waterfowl. Or visit our museum to see how we have coped with challenges in the past, and continue to do so as our island is battered by erosion, winds and water, and the effects of pollution on the crab harvest. Site features extensive artifacts, photos, and memorabilia regarding Tangier Island and its people. The history museum is the hub, and from it you can explore the island using our free canoes and kayaks to access our water trails. Visitors can also explore the trail by foot or bicycle using over 60 hiking trail markers to learn about the people, places, and events that make Tangier exceptional. Paddling through the trails of Tangier Island offers a unique opportunity to explore the marshes, discover wildlife and view the workings of the Chesapeake Bay watermen. Download a copy of the Tangier History Museum and Interpretive Cultural Center’s Water Trails guide. The museum is fully handicapped accessible. The British occupied Tangier Island several times during the War of 1812 and used it as a base of operations. The island was easy to defend because of the shallow water and surrounding islands. It also gave the British navy easy access to the Potomac and Patuxent rivers and the central and upper portions of the Chesapeake Bay. The British created Fort Albion at the southern end of the island, and in 1814 more than 1,000 troops were living in the barracks there. Nearly 700 escaped slaves took refuge on the island, and the British recruited about 200 of them to join a force known as the Colonial Marines.